Kay has been an organic gardener for 50 years and is a co-founder of the Koanga Institute—New Zealand’s largest heritage food plant collection—which has saved over 700 heritage vegetable seed lines and over 300 Northern heritage fruit tree lines over the past 30 years. She has a vast knowledge of home gardening, nutrient dense food production and the links between regenerative food growing and human health. 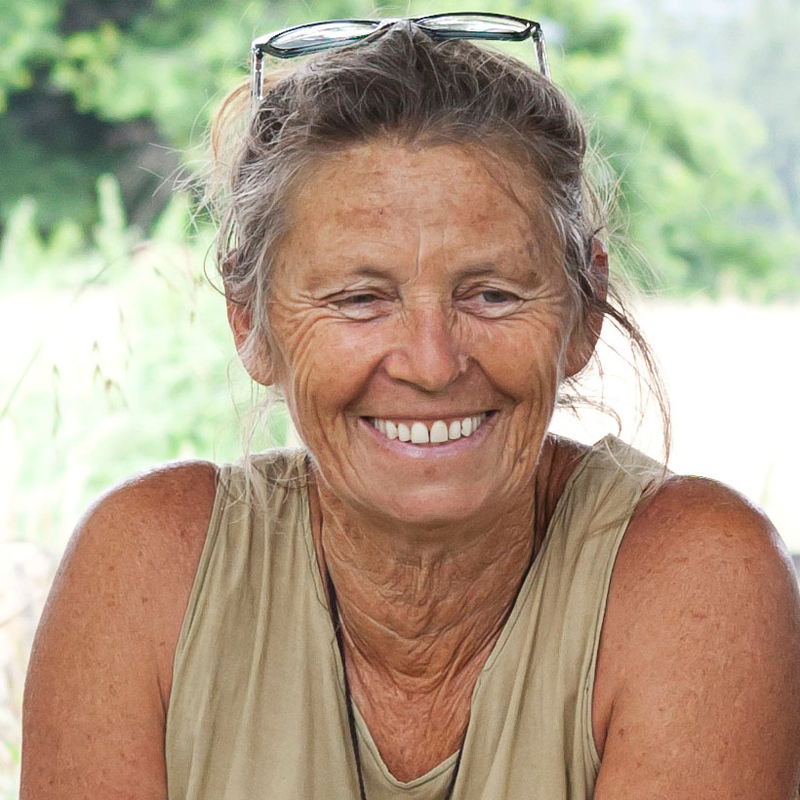 Kay has taught permaculture for many years and draws upon her experience designing, implementing, and managing permaculture systems; she specialises in the field of nutrient dense food production including vegetable gardens, orchards, forest gardens, and animal systems. Kay was awarded a New Years Honor in 2017 for her outstanding work of saving our New Zealand heritage food plants, as well as her work in creating sustainable growing systems for our food plants. She considers her greatest challenge is to find a regenerative way of growing all of her own food without buying any fertiliser from outside Kotare Village. Kay has authored many books including: Change of Heart (the Ecology of Nourishing Food); The Koanga Garden Guide; Design your Own Orchard; and The Koanga Garden Planner; and also a range of Koanga booklets, including Save Your Own Seeds, How To Grow Nutrient Dense Food, Beginner Gardener Booklet, Urban Gardening For Nutritional Resilience, The Art of Composting and Design Your Own Forest Garden.